Former Polish President Lech Walesa played a key role in the collapse of communism in Eastern Europe. At 75, he told DW that retirement is far from his mind and warned against the path Poland's leaders are taking. Watch video 42:31 Now live 42:31 mins. DW: You were born into a poor family. Your father died after being tortured in a German labor camp, so you had to help support your family and fend for yourself. 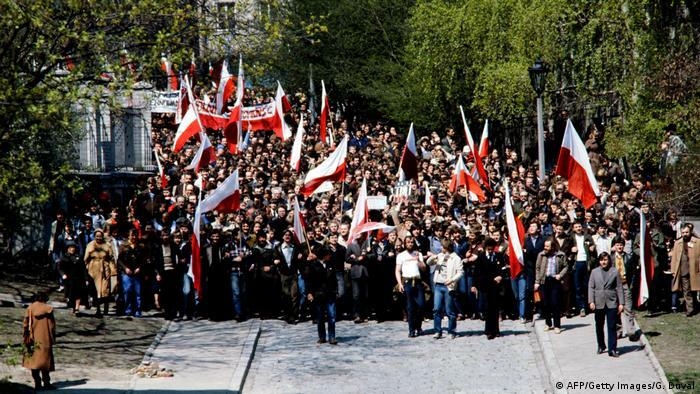 Then, in 1980, you headed Poland's Solidarnosc trade union and led the protest movement that played a major role in the downfall of the country's communist regime and contributed to the fall of the Berlin Wall. You were awarded the Nobel Peace Prize and became Poland's first freely elected president. As head of state, you negotiated the withdrawal of Soviet troops from Poland in 1993. Is there anything else you would like to accomplish? Lech Walesa: I have accomplished everything I ever dreamed of, and what I set out to accomplish. My plan was to regain freedom and introduce democracy, those were my goals. I thought that once we had democracy, everything would improve. But it turned out that we were not prepared for democracy and that we lacked the right people and programs. We started having problems, which is also why I lost the election [in 1995]. But Poland developed well and things were looking good. Yet today, I have my doubts. We were successful, but now we do not know what to do with our achievement. I am old and tired and do not like what is happening. The politics of our current government is not good. Its assessment of the situation is accurate, but its solution is not. On the other hand, individuals like [Poland's ruling party leader Lech] Kaczynski and [US President Donald] Trump motivate us. They force us to seek and find solutions. They inspire us. And although their assessment that the courts need to do a better job is accurate, for example, the solutions picked are bad. 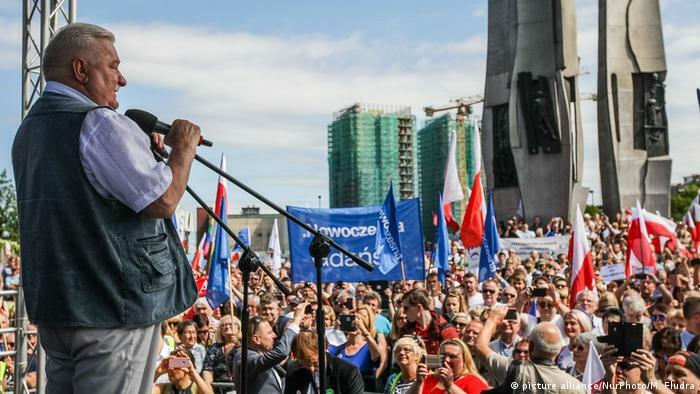 Poland's incumbent government is not viewed all too favorably in the West. Some even claim Poland is turning into a dictatorship. Is that true? We are democrats; we do not want to use violence. The government, however, is passing laws in its own interest that ignore the people and the constitution. Protests will hardly stop this because there are not enough people actively involved. We need to think of something that will bring progress. We are currently using [European Un ion] processes, and are asking the EU, Germany and other EU member states for support because it will be a long time until the next election. That could ruin us because the government manipulates the law and will deceive us. That is why we need global solidarity. Poland's rulers are peddling anti-German cliches. What do you make of that? They are opening old wounds, exploiting the complicated and tragic past between both peoples, and playing with anti-German sentiments. They are demagogues; they are sowing discord and inciting hatred. They are calling our accomplishments, our success into question. They are branding me and others as agents because it helps them win. They do not care what damage that causes as long as it helps them win. 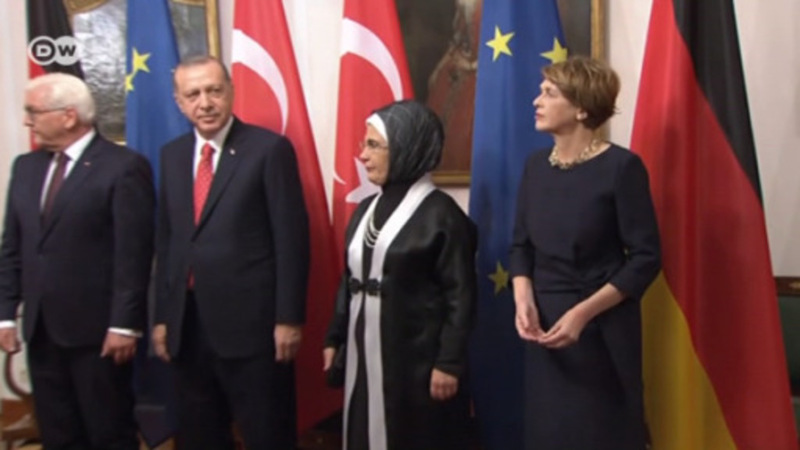 That is why I am unsure whether they are enemies of Poland, traitors, agents or complete fools. They must either be traitors or complete fools. How should Germany act in this situation? They should continue do to what they have been doing so far and think about how they can help us so that the postwar rapprochement is not undermined. There are voices in Poland demanding Germany should pay war reparations. Are these legitimate demands? The Germans are rich; we are not. That is because of their aggression and the war. One should talk about that, but not make any demands because it is too late for that. We do not need verbal attacks or confrontations. Instead, we need to talk and the power of persuasion. Facts should be presented to demonstrate that the issue has not been fully resolved. But making demands and confronting Germany is certainly a bad approach to solving this problem. You are a devout Catholic. What role does the Church and your Christian faith play in your life and your actions? It plays an important role. But I am no bigot. My faith is not outdated or medieval. It is more like a new computer. I know that God exists, I can find him. Occasionally I will fall but thanks to him, I quickly get back on my feet. Without my faith, everything I do would be pointless. But I keep going because my faith tells me that if I do not, I will have to take responsibility for that. So I need to do all I can. Lech Walesa headed Poland's Solidarnosc trade union between 1980 and 1990 and served as his country's president from 1990 to 1995. He was awarded the Nobel Peace Prize in 1983. This interview has been condensed and edited for cl arity. Cardinal Reinhard Marx turns to the legacy of the Polish Solidarnosc movement of the 1980s as a source of fresh hope. The chairman of the German Bishops' Conference spoke to DW about Europe, democracy, and freedom. Poland sees Ukrainian human rights activist Lyudmyla Kozlovska as an enemy of the state. But the German parliament has invited her to speak in Berlin, putting a chill on already frosty relations with Warsaw. Leading Polish intellectuals, including a former president, are speaking out against the country's judicial reforms. Fearing Poland's democracy is at stake, they have urged the European Court of Justice to intervene.